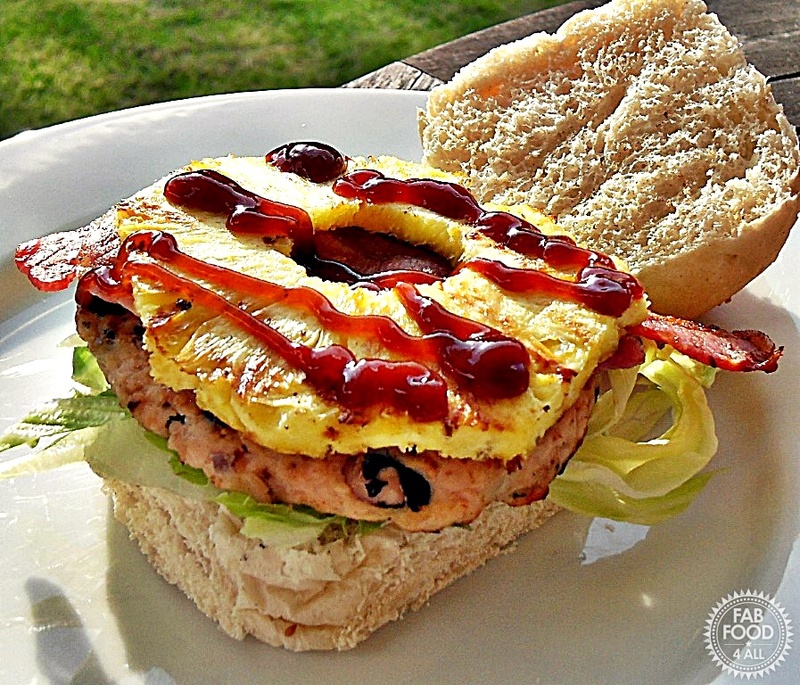 Today I’m bringing you Flavours of Brazil Turkey Burgers with Bacon & Pineapple! Part of why I love being a food blogger is being challenged to do things I would never think to do myself and trying out new ingredients. So when Unilever Kitchen came to me with the idea of doing a Brazilian themed post (I believe the World Cup is being hosted there) using some of their ingredients I couldn’t resist! To be honest I was completely clueless about Brazilian cuisine but I did know that pineapples were big in Brazil, indeed they are one of the world’s largest producers. Doing some research on the internet I discovered a few people’s interpretations of Brazilian food and read some comments from Brazilian’s pointing out things like the fact that avocados are eaten as a fruit in Brazil with sugar and that horizo is Spanish so not something they typically use either. I really didn’t want to upset any Brazilians as being half Danish I do get offended when I see something like “Danish Pastry filled with mincemeat” I just shudder! Using a 10cm cookie cutter really helped to shape these burgers! So taking inspiration from the hamper of goodies I received I decided to use the Black Turtle Beans that are popular in Brazil together with the Knorr Garlic Flavour Pot and put them in a turkey burger flavoured with jalapeno chillies, smoked paprika, cumin, lime juice and mature cheddar (amongst other things) and topped with pineapple, bacon and Colman’s Fiery BBQ Chilli Sauce. Well to say these burgers were popular with my family is an understatement! Everyone loved them (ok my daughter removed the pineapple slice) and there was a fight for the 2 leftover burgers. I insisted one went in my son’s packed lunch so the boys split the other one! I’m now a big fan of the black turtle beans which tasted fabulous, held their shape and really complimented the chilli flavour of the burgers. I don’t usually like BBQ sauce but the Colman’s one is worthy of praise and really complimented the burgers, bacon and pineapple perfectly with its chilli kick! Of course the boys did the BBQing! Even trusted them with camera for this shot! 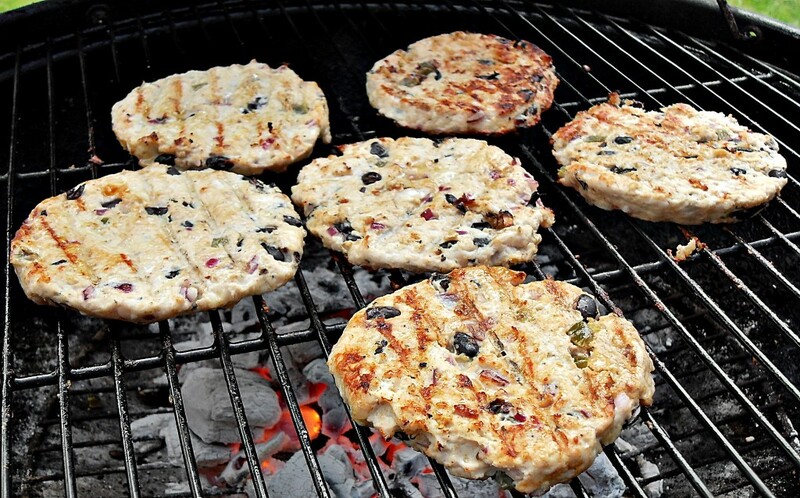 So I’d just like to thank Unilever for inspiring me to come up with these Flavours of Brazil Turkey Burgers with Bacon & Pineapple that will become a regular on our BBQ and if there are any Brazilians shuddering out there I do apologise! 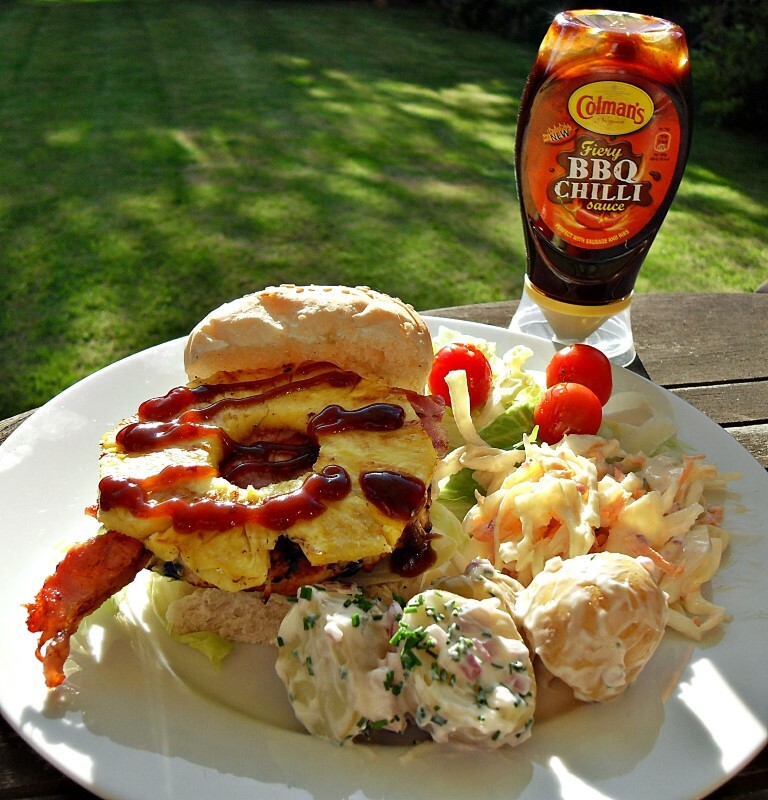 The Flavours of Brazil Turkey Burgers combine turkey, black turtle beans, jalepenos, smoked paprika, cumin, lime juice and cheddar cheese which are then finished off with bacon, pineapple and BBQ sauce for the perfect flavour combination and BBQ treat! Did I mention they’re healthy too! Place all the burger ingredients in a bowl and mix well with your hands. Divide into 6 equal patties (I place 1/6th burger mince in a 10cm cookie cutter and spread out to get the perfect burger shape). 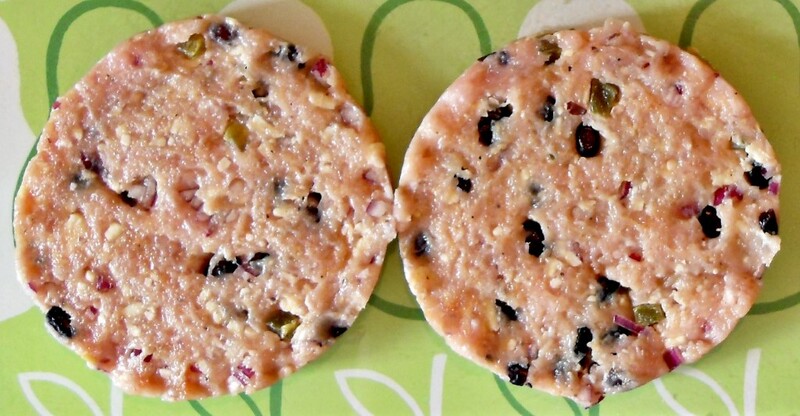 Place the burgers in the fridge for at least 30 minutes to firm up. 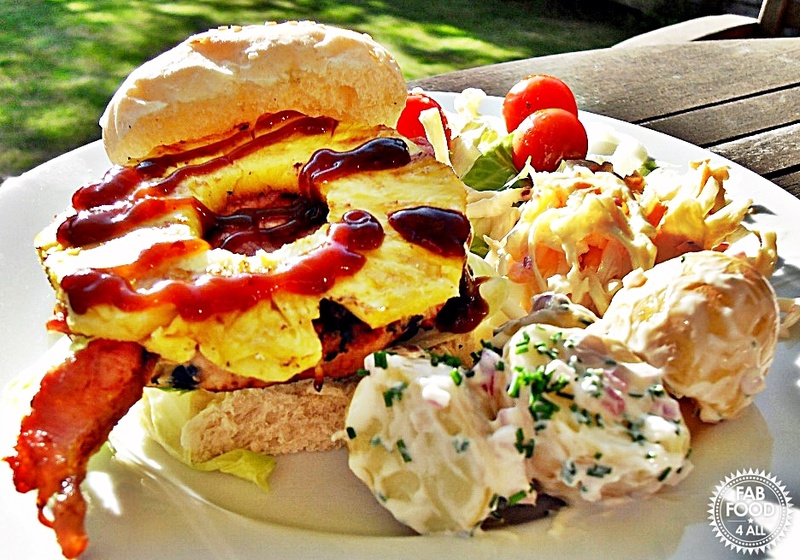 Cook the burgers, bacon and pineapple slices on the BBQ for as long as necessary. Place cooked elements on a dish covered in foil once cooked and allow burgers to rest for a few minutes. Toast the burger buns on the BBQ. 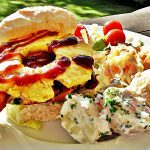 Assemble the burgers by adding a layer of mayonnaise, shredded lettuce, the turkey burger, bacon rasher, slice of pineapple and a drizzle of Chilli BBQ Sauce, top with bun lid and enjoy! Serve with salads of your choice and or French Fries! I’m entering my burgers into this month’s Family Foodies event where the theme is barbecues, picnics and outdoor eating which is being hosted by Eat Your Veg and run jointly with Bangers and Mash. I’m also entering Tasty Tuesday which is hosted over at Honest Mum. Finally I’m entering A Mummy Too’s Recipe of the Week. NB: I may win a gas BBQ for taking part in this #UnileverRio challenge. I received a hamper of Unilever products for taking part and all opinions are my own. I was not paid for this post.